On December 20, 2016 AI President Scott Robinson and AI’s legal counsel called a chapter executive director’s superiors about two posts placed on my REIC website (realestateindustrialcomplex.com) – under the guise of being brand damaging to AI National. This was interpreted as an intimidation tactic. For the record, the posted documents were already widely shared across the industry and there was no personal commentary provided with the posts. In fact, this person was merely posting them on behalf of someone else. One of the posted documents, the North Texas Chapter’s position paper on the “taking” was already on REIC…if they had taken the time to scroll through it. The second document was the Chicago Chapter’s response to the “taking.” When I heard about this AI National action from multiple sources, I called the chapter executive director and left a voicemail, inviting them to take down the documents if they wanted to because of the threat. 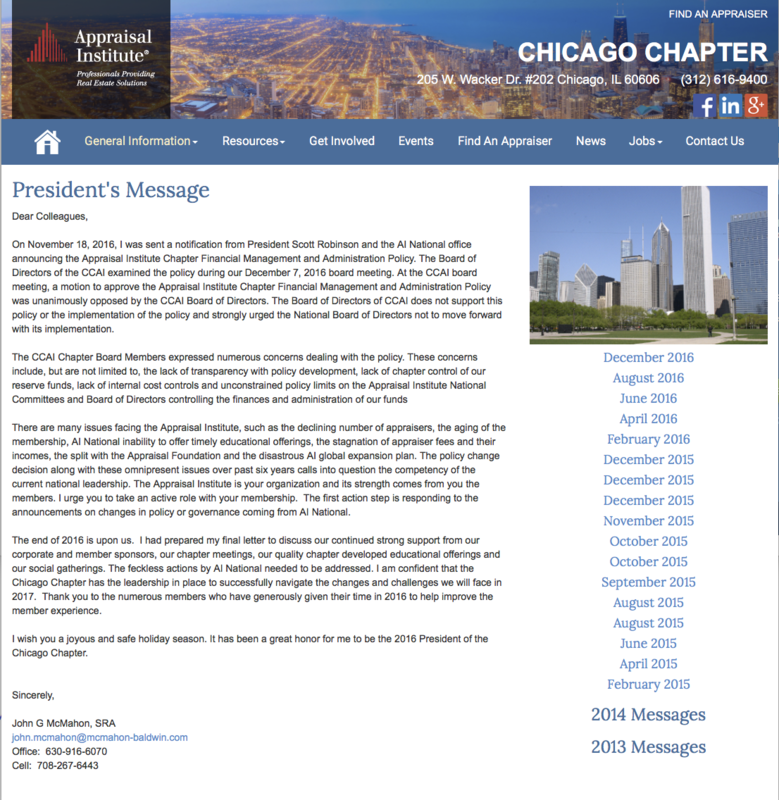 After the posts were removed, I re-posted the Chicago chapter letter since the North Texas Chapter letter was already on the site (it was the first document I ever posted on REIC). This call was a sign that AI National is panicking after creating a massive membership-wide backlash relating to what I call the “taking” policy. This already implemented policy has been discussed in previous blog posts. 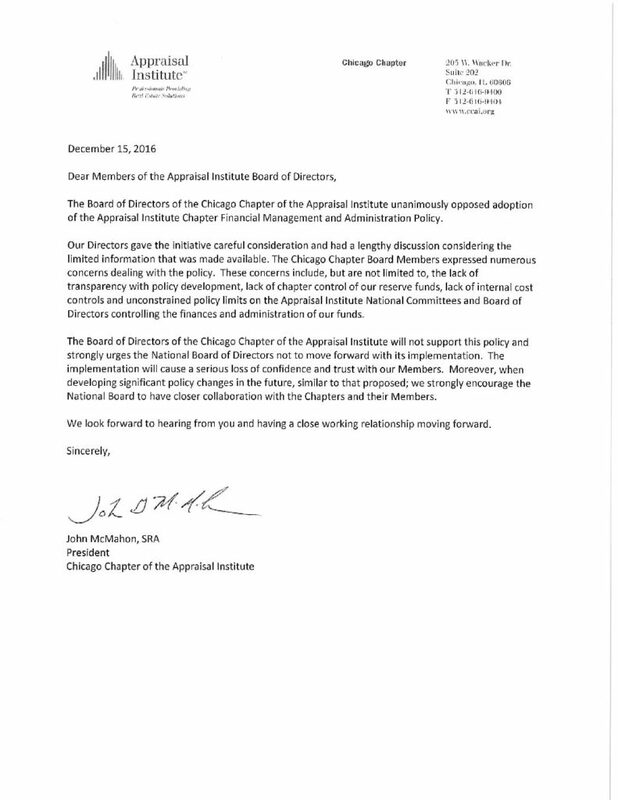 The two documents posted by the chapter executive director were already in the public domain after being widely circulated by an outraged AI membership across the country. The heavy-handedness to make such a phone call shows the bully pulpit culture taken against those who speak out. Most members I know are afraid to speak out against AI National for fear of retaliation. This recent call substantiates that fear and that is very sad even though their actions are based on nothing (sorry AI legal counsel) and brand damaging seems to be something that AI National has been good at. AI National has largely ignored their SRA designation to the point where it carries little weight with clients anymore. They have not successfully addressed declining membership, plus explain their singular emphasis on commercial, the international membership spending boondoggle and much more. Perhaps membership should be the one intimidating AI National leadership instead of the other way around? There isn’t any reasonable basis for a lawsuit with what I understand. Here is some rationale. — The two documents are not AI National’s documents. — The two documents are being circulated everywhere by AI members and non-members alike. — One document was the first document I had ever posted on my REIC website before it was posted by the executive director. — This aggressive action by AI National can only be interpreted as an attempt to perpetuate a culture that intimidates members and chapter administrations to allow them to continue on their current path. I have seen high volume on my REIC site since launch as well as on this Matrix blog and my Housing Notes. However, I have had fewer register on REIC than anticipated based on the traffic. After learning about the phone call and my intention to be transparent on the website with “who said what,” I realized I had not considered how badly damaged the current culture was at AI National and the animosity they show towards its chapters and members. If that’s not an accurate interpretation, I invite Scott to call me and clarify what was said so we can get both sides of this situation and I can share it with our readers. I am only interested in getting the story right. Therefore I have asked my web developer to remove all registration requirements on REIC to allow anonymous posts (soon – he’s on vacation) – look for the announcement. In the meantime, you can email me directly and I will post your content myself on REIC. Although I am no longer associated with AI specifically because of similar AI National behavior during the exit of TAF, their actions and (mainly) inactions have continued to hurt the appraisal industry. Let’s stop an insulated AI National leadership from causing any further damage to the AI brand as well as the appraisal industry. It’s a free country and appraisers have the right to provide opinions and share widely circulated letters already in the public domain to whomever they wish. There have been thousands of readers of my analysis of their stealth policy “taking” debacle and additional related content is making the email rounds in a frenzy – so I want to know this: Does AI National plan to threaten their entire membership?